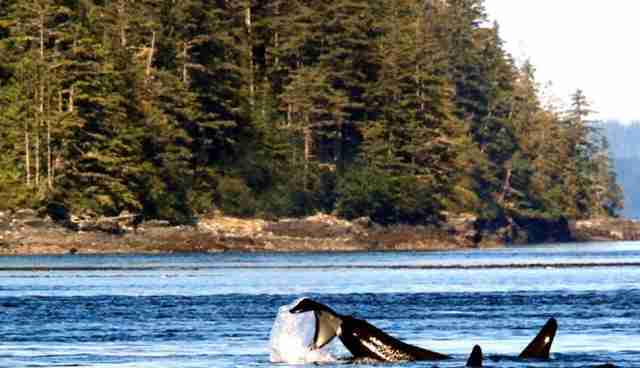 Driving from Victoria, British Columbia it takes a full day to reach the secluded Northern end of Vancouver Island. A two-lane road winds through untouched forests, over rivers bubbling to the brim with salmon, and past rusted ship wrecks; ghost like relics of a time long past. 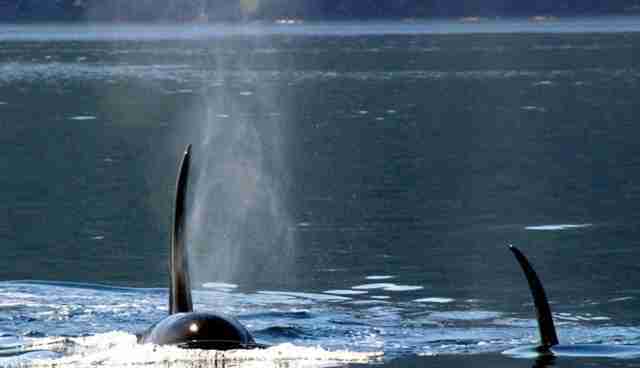 Then out of nowhere the calm surface of the water is disrupted by an explosive mist of breath and a black dorsal fin towering six feet out of the water. 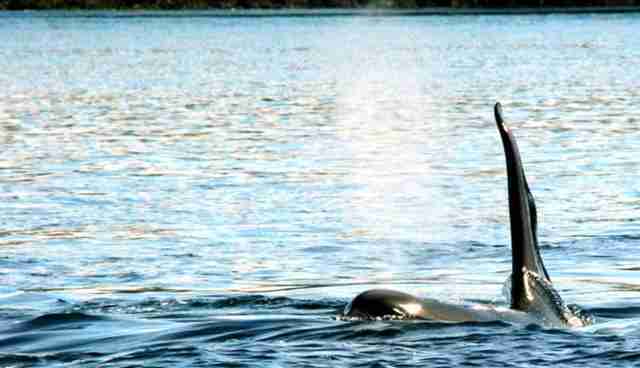 The native people of the area, the Kwakwa̱ka̱ʼwakw, call orcas the "side by side tribe." 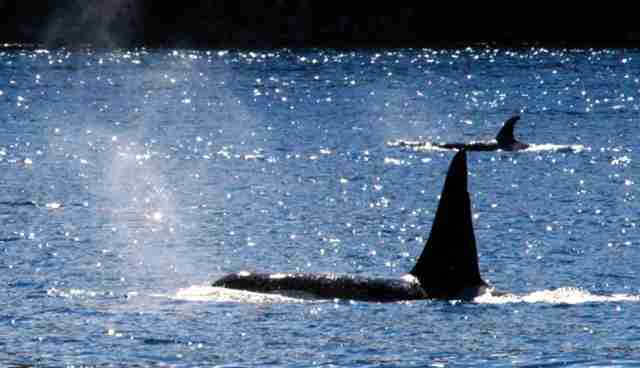 Family is the most important aspect of the socially charged life of an orca. First we come across a sub-pod of the larger A5 pod, the A25's. 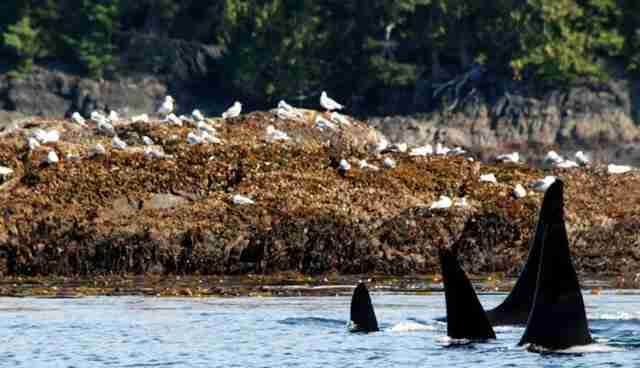 The family cruises along the coastal cliffs hunting for their meal of choice this time of year: Chinook salmon. Out of nowhere the R4 pod suddenly races by us at a speed of over 6 knots. A small calf is working hard to keep up with mom and family. He tries his best to keep the rhythm of his pod, but always comes up for air just ahead of everyone else. 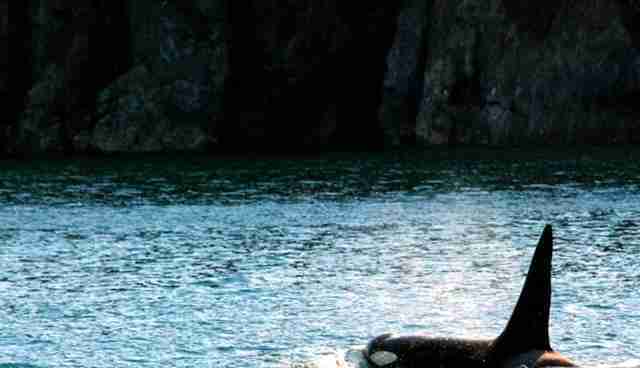 While wild orcas have a decidedly better life than orcas in captivity, they too face many challenges. 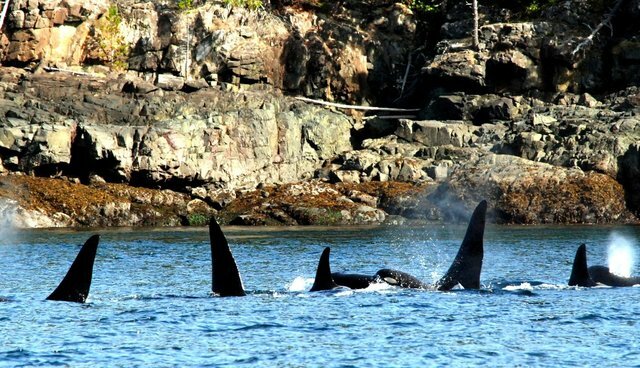 While the mortality rate of orcas in captivity is roughly 2.5 times higher than that of orcas in the Pacific Northwest, the life expectancy of wild orcas is continually dropping. 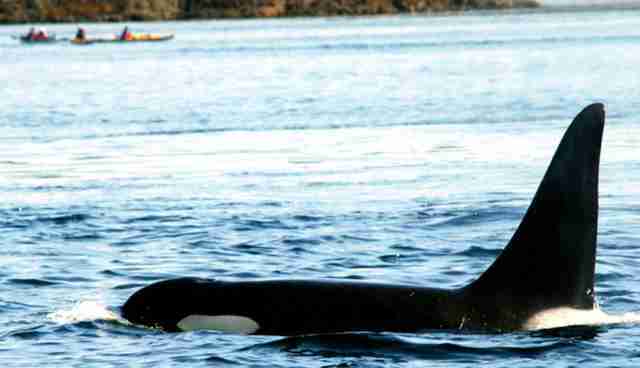 The average life expectancy for a male orca in the wild is now down to approximately 30 years, with an estimated maximum lifespan of about 60. 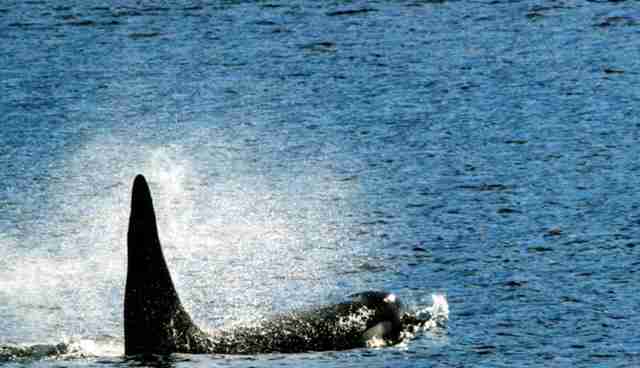 The average life expectancy for female orcas in the wild is 45 to 50 years, with a maximum lifespan of about 90. 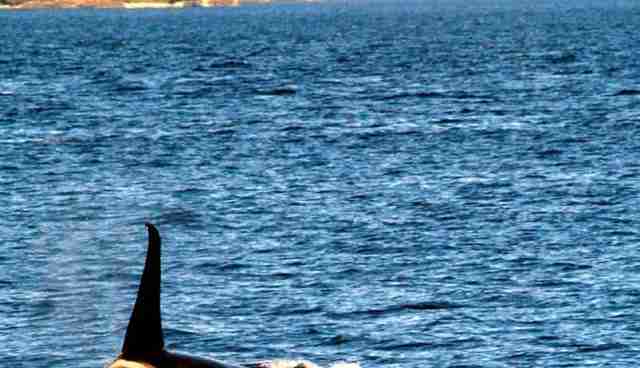 You may have taken note that female orcas live longer than males in the wild. This is not by chance, and it wasn't always the case. 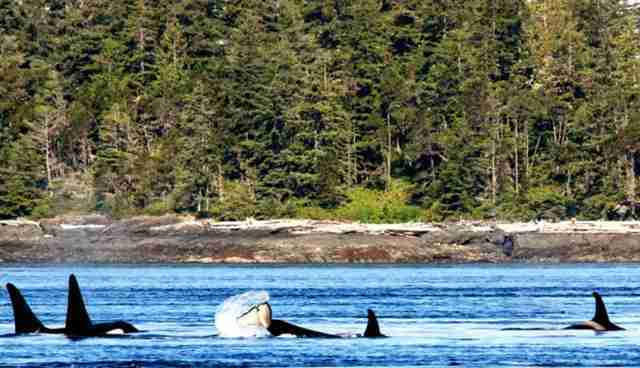 Female orcas live longer because they offload PCBs through their breast milk. 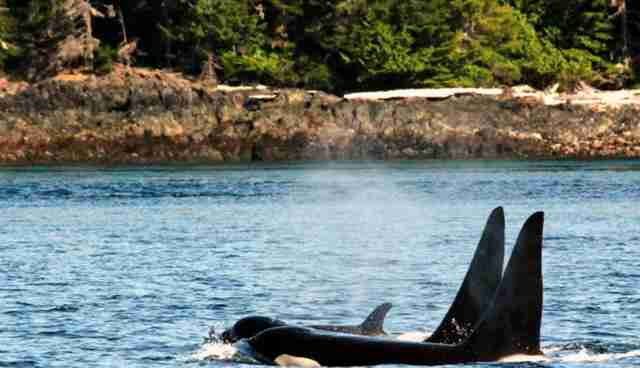 This contributes to the high infant mortality rate in wild orcas.